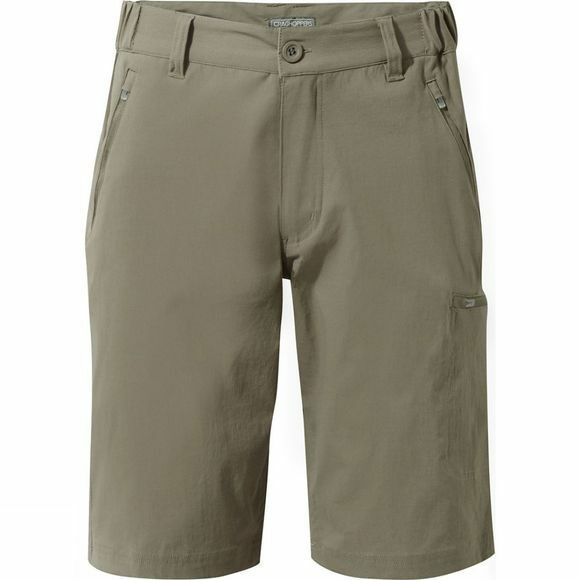 The Men's Kiwi Pro Long Shorts by Craghoppers are a fantastic pair of shorts for warmer weather. The four way stretch gives way to unrestricted movement for all activities while the SolarShield gives UPF 40 to ensure the sun doesn't stop your fun. They have a SmartDry and stain resistant finish which ensures they will dry quickly keeping you more comfortable and continue to look as good as new even if you wear them over and over again. The four zipped pockets will keep your essentials safe, while one of them contains a removable sunglasses wipe to ensure you always have one with you.